Our home cinema installation in London will make dreams a reality! The home cinema installation and design service we offer to London customers of Rococo Systems goes above and beyond providing you with a personal cinema to enjoy at home. For example, we can create your dream room or space indoors or outdoors, build a discrete, hidden cinema, and even install a lighting system to suit your mood and surroundings. As well as allowing you and your family and friends to get comfortable with the latest movies and TV shows, our home cinemas let you take advantage of the most up-to-date streaming technology from Amazon Prime, Netflix, and Sky Q. Many of these streaming services offer exclusive shows and films that you won’t find anywhere else. So, imagine how popular you’ll be with your friends and neighbours if they can pop round to catch up with the latest box sets, movies, and more in a sumptuously comfortable and professionally-designed setting. Why choose Rococo Systems for London home cinema installation? A key reason why you choose Rococo Systems to carry out your home cinema installation or design you a bespoke system if you live in London is our vast experience. We’ve been helping customers across the capital (and Essex) bring their dream home cinemas to life for over twenty years. Plus, because we know how important it is to keep up-to-speed with the very latest technologies, our talented home cinema installation and design team can give you expert advice on how to get the best installation for your budget. Off-the-shelf home cinemas may seem a sensible option if you’ve a fixed budget to stick to or are pressed for time. However, as many purchasers have quickly discovered, these ready-made packages often results in disappointment. To begin with, they’re not designed with your home and needs in mind. Instead, they’re often created with low-quality and hence budget-friendly components and designed to suit an average UK household. As a London resident, you can appreciate how diverse properties across the capital can be, and what works for a one-bedroom flat in Greenwich doesn’t necessary suit a six-bed detached house in Belgravia. This is why good design and planning are essential when it comes to creating home cinemas that delight viewers year after year. We can demonstrate and advise on an extensive selection of systems, speakers, mounts, control options, and other accessories from top manufacturers like JVC, Sonance, Future Automation, Anthem, and SIM2, And, if you’d like us to, we can work alongside your builder, architect, interior design and/or cabinet maker to produce a bespoke home cinema system that’s both unique and ideally suited to you and your home. If you’d like to discuss your home cinema installation needs in more detail, give Rococo Systems a call today on 020 7454 1234, and our London team will be pleased to assist you. Alternatively, you can complete our online contact form, which allows you to tell us about your room type (e.g. multi-purpose or dedicated), room size, project status (e.g. 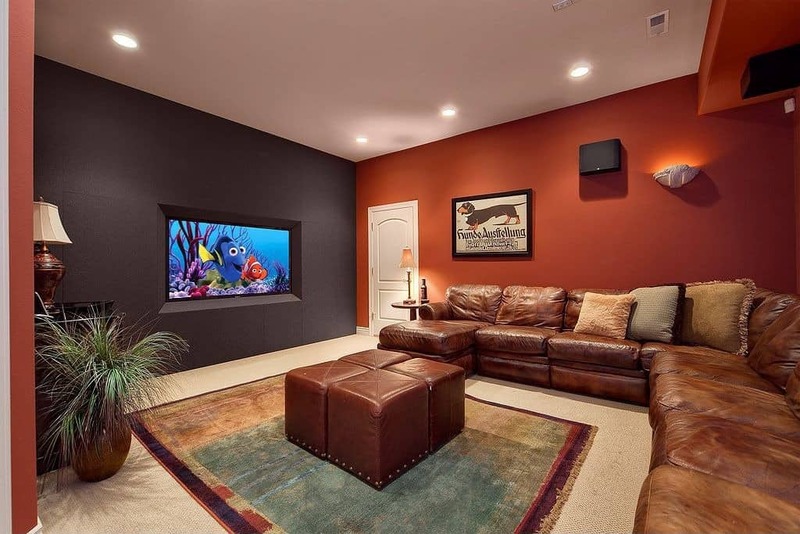 existing upgrade or new build under construction), and existing equipment, and even upload plans or photographs to give us the best possible picture of how you envisage your home cinema should look and perform.